Riding to and from the Cadwell Park British Superbike round took me over my first 5000 miles, so I’ve successfully completed MCN’s #ride5000miles challenge. In that time, I’ve learned a lot about the V-Strom 650 XT. OK, so this one shouldn’t be much of a surprise with the V-Strom being a tourer, but it covers distance with ease. The upright seating position and wide bars make for a comfortable riding position, not once have I got off the bike aching or been longing to stop. It’ll comfortably sit at motorway speeds and it’s always reassuring to know you’ve got the extra punch to get past something if needed, which is something which is something my 2016 long termer – Honda’s NC750X – was lacking. Some bikes designed for practically can end up being a bit dull and boring. There was a point when I’d started to think this was the V-Strom, but it’s really not. It might be a heavy old girl but it’s still agile out on the twisties with and quick enough to enjoy, especially when shod with a decent set of tyres. The Metzeler Roadtec 01s I’m currently running are hugely confidence inspiring compared to the OE Bridgestone Battlax Adventures it came with. The gold spoked wheels might look nice, but they’re not great to clean! While I’m still not convinced the V-Strom is a looker, one part of the bike I do really like is the stunning gold spoked wheels. Keeping them clean, however, is less lovely. Dirt shows up really easily on the gold finish but can be easily wiped off, but the spokes on the other hand are a completely different story. 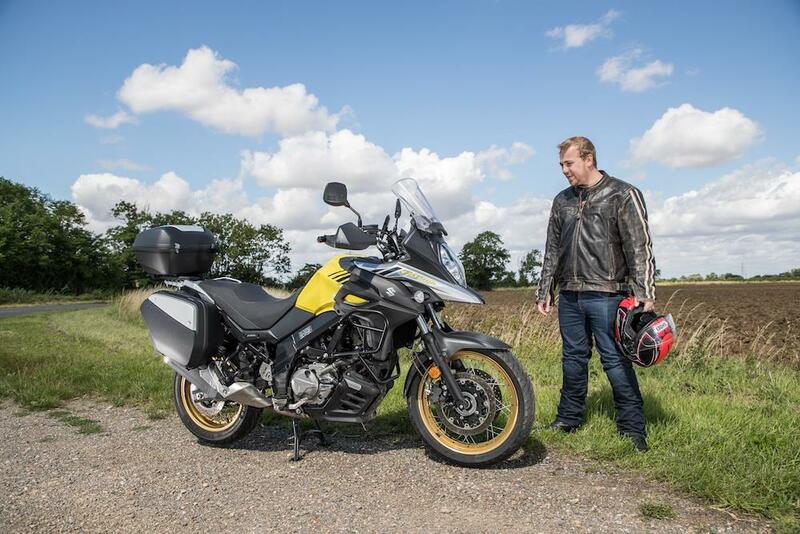 The V-Strom is a great all-rounder suitable for riders of all experiences. I’ve got four years of high-mileage riding under my belt and it’s plenty of bike for me, but I’ve spoken to more experienced riders who really enjoy it too. I spoke to one owner who had switched from the V-Strom 1000 to the V-Strom 650 and swears the 650 is the better bike to ride on the road. MCN Fleet: V-Strom 650XT - Beauty or a beast? MCN Fleet: So what is wrong with the new Blade? MCN Fleet: V-Strom 650XT incoming!